Shawn is a tax partner with Moore Colson & Company, a top 200 U.S. public accounting and consulting firm. He has almost 30 years experience as a Certified Public Accountant and over 10 years experience as a Certified Financial Planner, and has served a number of nonprofit organizations. 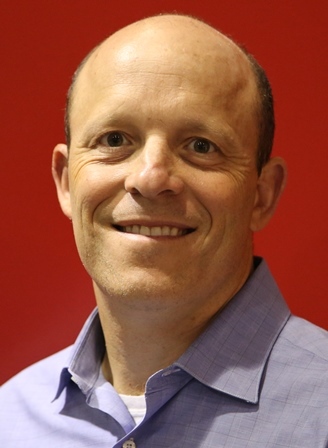 In addition to serving on the Board of Directors at Atlanta Track Club for three years, including two years as Treasurer, Shawn also serves as Treasurer on the Board of Directors of the National Down Syndrome Congress. Shawn started running in high school and earned all-conference honors in cross country. He also ran several distance events in track and field. He has run nine marathons, including Boston and New York, as well as numerous half marathons and shorter events. Shawn graduated from the University of North Carolina at Chapel Hill with honors with a bachelor of science degree in accounting. Kerry Parker became an active and engaged Atlanta Track Club member after participating in his first AJC Peachtree Road Race in 2009. He desires to share his passion for running to build a healthier and more fit community. Mr. Parker has over 20 years of experience in marketing, public relations and communications for the Southeast Permanente Medical Group, of Kaiser Permanente, the state’s second largest medical group. He has extensive experience working with nonprofit organizations. He is a founding board member of the Atlanta Youth Project and currently serves as Chairman of the Board. 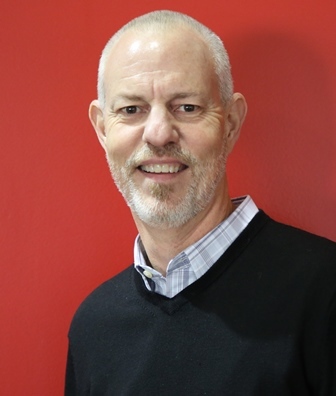 He has served on the board of the Horizon Theater Company; the International Association of Business Communications, Atlanta Chapter; the Avondale Arts Alliance; and the Arts Festival of Atlanta. Mr. Parker ran varsity track at Auburn University and has since completed many races including the AJC Peachtree Road Race, the Atlanta Half Marathon and numerous triathlons. For the past 25 years, Brian has provided comprehensive investment and wealth management planning services to individuals, foundations, and corporations throughout the United States always being based in Atlanta and focusing most of his effort in Georgia. 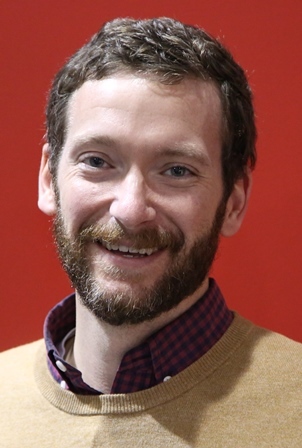 Brian grew up in Atlanta (Sandy Springs) and graduated from the Marist School and from Georgia Tech with a degree in Industrial Management. Prior to joining Morgan Stanley (2002-present), he was employed by Merrill Lynch Trust Company (1996-2002) as the manager of the firm’s Wealth Management Services for the Southeast Region and as Trust Officer at Bank South (1990-1996). As a contributor to the Atlanta community, he is actively involved with the Marist School and currently on the Development Committee and has served as the president of the Planned Giving Association for the school. Brian is currently a member of the Investment Advisory Committee for Zoo Atlanta and serves as an investment advisor to numerous non-profit entities in Atlanta and across the country. He is a member of the Atlanta Estate Planning Council. Brian lives in Dunwoody and is married with three children (junior at University of North Carolina, a freshman at University of South Carolina and a freshman at Marist. Kara Finley is a partner in PwC's Risk Assurance practice focusing on the Greater Atlanta market. 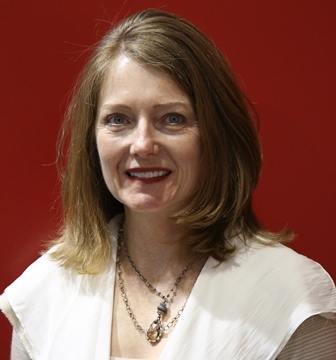 She joined PwC in early 2016 after 22 years of experience with Accenture in leading large, complex, and global technology delivery engagements. Ms. Finley is engaged in the community with organizations such as Back on My Feet, Covenant House, Leadership Atlanta and other corporate citizenship activities. She is also actively involved with running/multi-sport clubs. Ms. Finley has a passion for both running and the City of Atlanta. She grew up in Atlanta playing sports, mostly tennis, and picked up running as an adult. She has been an Atlanta Track Club member for many years and the AJC Peachtree Road Race has become a family tradition. She has participated in the event for the last 17 years and has participated in multiple other Atlanta Track Club events. The Thanksgiving Day Half Marathon is, by far, her favorite. Veteran technology and marketing executive Erika Brookes is chief marketing officer for Springbot, a marketing automation platform for eCommerce businesses, and her responsibilities include leading all brand, product, marketing campaigns and communications. 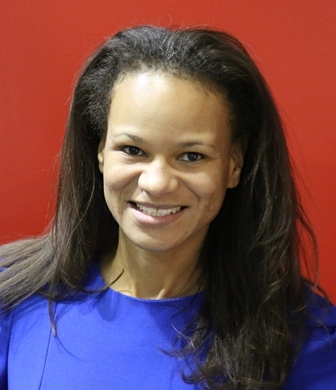 Prior to joining Springbot, Erika Brookes was vice president of product strategy for Oracle, responsible for all go to market activities for the Oracle Social Cloud business including guiding product strategy. Prior to joining Oracle, she was vice president of marketing and communications at Vitrue, a leading provider of social marketing publishing software for global brands and agencies. Vitrue was acquired by Oracle in August 2012. Throughout her career she has held numerous executive-level marketing positions with leading technology companies like Oracle, Vitrue, MindSpring, Earthlink and Rackspace. Brookes earned a BS in Business Administration from Berry College and has completed post-graduate executive level education in finance and marketing. She has been a runner her entire life and participates in numerous 5Ks, 10Ks and half marathons including the AJC Peachtree Road Race and Thanksgiving Day Half Marathon. Erika is married to David Brookes, and she will be most commonly seen running through Historic Druid Hills, Freedom Parkway, the Atlanta Beltline and Virginia Highlands with their yellow Labrador, Sunny. Mary Ford is a sales and marketing executive with over 20 years of experience serving business-to-business technology providers. She currently serves as Chief Operating Officer for Springbot, a marketing automation platform for eCommerce businesses. Previously, she led sales strategy and operations for SecureWorks, a provider of information security for businesses. Mary also spent 14 years serving as a Vice President with Cbeyond, where she led Marketing, Learning and Development, and Sales Operations. Mary has a deep commitment to volunteer service to the Atlanta community through organizations including Leadership Atlanta, Girls on the Run Atlanta, Dress for Success Atlanta and Women in Technology. Mary led the Atlanta Track Club's Search Committee whose efforts resulted in the hiring of the current Executive Director. She has completed over 20 AJC Peachtree Road Races, 13 marathons, 5 triathlons, and numerous 10K and half marathon races. Mary has a degree in Economics from the University of Virginia and a masters degree from George Washington University. She and her husband Jay Shirley live in Sandy Springs. 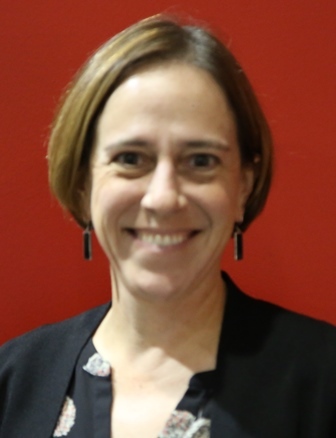 Katie is the Chief Policy Officer for the Metro Atlanta Chamber (MAC), leading a team which focuses on public policy, government affairs and political action. Katie joined MAC in 2007 as vice president of Environmental Affairs, overseeing the Chamber's work on sustainability, including water, air, energy and quality growth issues. She is currently vice-chair of the Metropolitan North Georgia Water Planning District and past board chair for the institute for Georgia Environmental Leadership. She is a 2011 recipient of Atlanta Business Chronicle's prestigious "40 Under 40" award and is an active alumnus of Leadership Atlanta. She is the Chair of the American Chamber of Commerce Executives Government Relations Division. Katie volunteers for various youth sports leagues, Peachtree Road UMC, Atlanta Track Club, and is a member of the parent volunteer association for Christ the King School. Katie is a committed runner. She and her family have run the AJC Peachtree Road Race more than 10 times and her family has been running since its inception in 1970. Dr. Reginald Mason is a Pulmonary and Critical Care physician originally from Los Angeles. Dr. Mason received his undergraduate degree from Stanford University, where he competed as a sprinter on the Stanford track & field team. 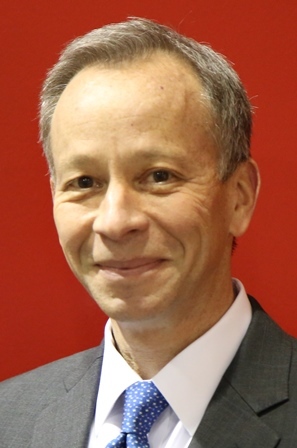 He attended medical school at the University of California, San Francisco before completing residency at George Washington University in Washington, D.C. Fellowship training ultimately brought him back to UCSF and he practiced in California until moving to Georgia in 1991. Dr. Mason holds multiple leadership roles at Kaiser Permanente and has remained an active runner all the while. He has competed at the USATF Indoor and Outdoor Championships, winning multiple medals as a member of Atlanta Track Club Elite Team. He had been a loyal participant in the Atlanta Track Club All Comers Track & Field Meets for over 20 years. Dr. Mason has served as a community coach for the Paideia School Track team since 1996. 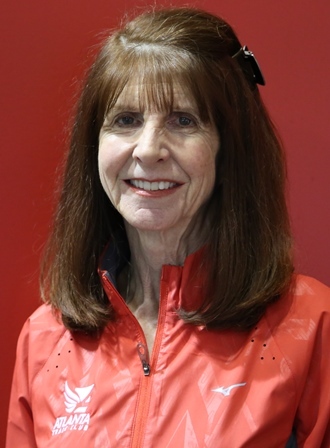 Terry has been a member of Atlanta Track Club for 35 years, has run the AJC Peachtree Road Race 34 times, The 100th Boston Marathon, several other marathons, and countless other Atlanta Track Club & regional races in her 40 years of racing. 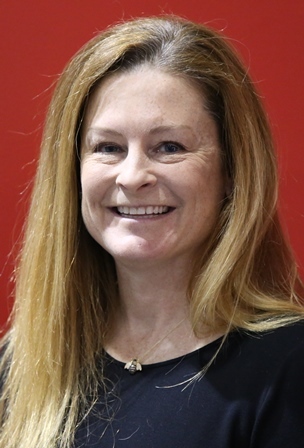 She has served as an elite team representative on the board since 2014. Terry is married to Phillip Ozell, they have three grown children and one dog (still home). Terry is a real estate title examiner for several attorneys and keeps busy during her free time by skiing, knitting and volunteering in her neighborhood and with Atlanta Track Club. Ryan is currently a full-time graduate student working toward a PhD in neuroscience at Emory University. He began running in 2009 after graduating from Johns Hopkins where he played varsity basketball and was co-captain for the 2008-2009 season. He has run six marathons highlighted by 5th place finishes in both the 2011 and 2012 Atlanta Marathons (PR 2:40:44). He joined Atlanta Track Club’s men’s competitive team in 2012 and became team coordinator in 2014. Recently he has focused more on shorter distances setting personal bests of 15:38 for 5k, 32:32 for 10k and 1:12:20 for the half marathon. Michelle Reid is Senior Director of Human Resources at Children’s Health Care of Atlanta, one of the leading pediatric health care systems in the United States. Before accepting her current role at CHOA, Michelle acted as the Interim Director of Child Wellness programs at CHOA and helped launch its community Strong4Life program. She was Global Director of Human Resources at Motorola before moving to Atlanta in 2005. Michelle found running six years ago and has since completed the AJC Peachtree Road Race six times.along with numerous half marathons, triathlons and even two Half Ironman events. 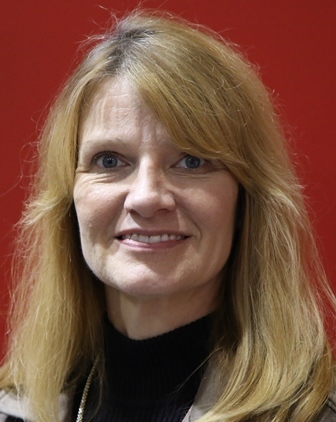 She is an active fundraiser for The Leukemia Lymphoma Society's Team in Training and regularly acts as a mentor for others entering the program. John Runnion is the Senior Vice President and Chief Financial Officer of the Georgia Bankers Association, where he has overseen accounting and finance for the past 17 years. He has been committed to physical fitness throughout his life, having previously worked for 13 years in the health club industry. John is an avid runner, competing regularly in Atlanta area races of all distances. He is originally from Greenville, SC, graduated from Clemson University with a B.S. in accounting, and currently lives in Acworth with his wife Mary Jo. 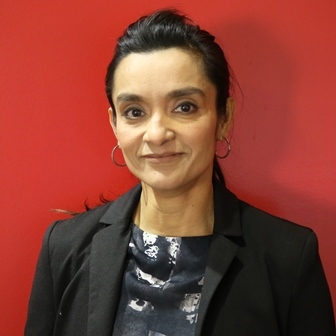 Aparna Sharma is a marketing and PR professional with a passion for technology and helping organizations better connect with their customers. She is best known for conceptualizing and executing best-in-class marketing strategies for brands at all stages. She currently works as a Marketing Consultant for a Private Equity firm, focussed on Technology investments. She has leveraged her love and experience in this field to serve as a mentor for Techstars, a worldwide network that helps entrepreneurs succeed. Aparna is a born runner. She first experienced the thrills of the sport on her high school Track & Field team. She trains and runs many races a year, and has a special place in her heart for Atlanta and in particular Atlanta Track Club runs. As a family member of Atlanta Track Club and a mom of three kids, Aparna is passionate about instilling a love for running among younger generations. Loren Starr is Senior Managing Director and Chief Financial Officer (CFO) of Invesco, a position he has held since 2005. In this role, he is responsible for finance, accounting, investor relations and corporate properties. Prior to joining Invesco, Loren was Senior Vice President and CFO of Janus Capital Group Inc., where he served from 2001-2005. He is the Chairman for the Georgia Leadership Institute for School Improvement and is on the board of the Woodruff Arts Center. Loren has been an Atlanta Track Club member since he moved to Atlanta 12 years ago and has enjoyed running several Atlanta Track Club events every year including, Publix Georgia Marathon, Thanksgiving Day Half Marathon, PNC 10 Atlanta Miler, AJC Peachtree Road Race, and many others. Adrienne White is the VP of Finance of the National Center for Civil and Human Rights. She also spent eight years working at the Coca-Cola Company and four years with Ernst & Young (EY). Ms. White is a Road Runners Club of America Certified Run Coach and enjoys supporting others achieve health and fitness goals. In April 2011, Ms. White was one of three leaders who launched the Atlanta chapter of Black Girls Run!, a national organization aimed at promoting an active lifestyle among African-American women through participation in running events. Atlanta Track Club's mission is near and dear to her heart, and she hopes to empower others to achieve their personal greatness on and off the pavement. Ms. White is also a part of the Atlanta BeltLine Partnership 67 advisory board, Citizen's Trust Bank Next Generation Advisory Board, an appointee to the Atlanta Public Schools Audit Committee, and a member of EY Atlanta Alumni Council. She earned her Masters of Accountancy and Bachelor of Science in Commerce; Concentration in Accounting from The University of Virginia. Mark is a pediatric surgeon and surgeon-in-chief at Children’s Healthcare of Atlanta and a Professor of Surgery and Pediatrics at Emory University. He has been active and interested in fitness throughout his life. Mark enjoys running in Atlanta Track Club events and competing in triathlons. At CHOA, Mark has a professional interest in adolescent obesity and wellness and is also involved with physician wellness. Mark hopes to bring his passion for child wellness to Atlanta Track Club and broaden our reach into the community. 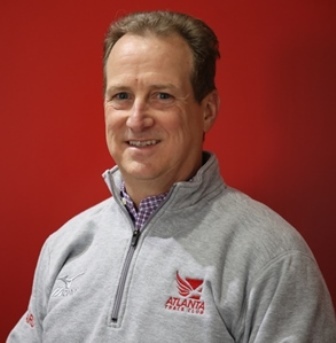 Mark believes that Atlanta Track Club is uniquely positioned in the community to become a true champion of wellness in Greater Atlanta. Leslie is the General Counsel and Chief Compliance Officer at Arbor Pharmaceuticals where he leads, follows and inspires daily. Prior to his service at Arbor, he was the General Counsel for a publicly-traded pharmaceutical company in Atlanta. Leslie believes strongly in giving back to the Atlanta community. He served on the Board of Directors for CURE Childhood Cancer for 7 years and currently serves on its Advisory Council. Leslie also serves as a mentor for the First Tee of East Lake and as an advisor to Georgia Bio's Emerging Leadership Network. 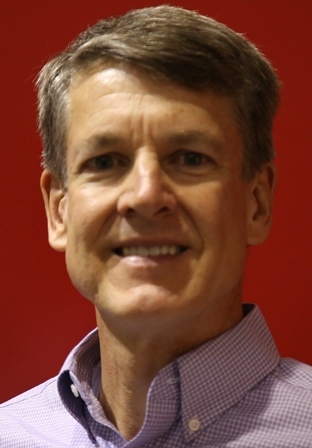 Leslie's first AJC Peachtree Road Race was in 1986 and since then he has completed five half-ironman triathlons, four marathons, two Escape from Alcatraz triathlons, numerous half-marathons and shorter events. Leslie and his wife Tanya reside in the Druid Hills neighborhood with their children Madeleine, Andrew and Charlie.